Tackling content marketing workflows to help reach business goals might seem as challenging as the writing part itself. Not all aspects of the content marketing process are easy. Promotion may come easier to marketers than writing, for example. We rounded up tips for planning that apply to all stages of the writing and content marketing process. Buffer’s (which has a two-person content team) Kevan Lee took a deep dive on quick turnaround with writing in his piece "How Buffer Creates Content". It’s an excellent piece on process, with great detail on the mindset and approach to writing and time management. However, a writer may not have the ability to split a single blog post into a three-day routine as this example illustrates. That time crunch, in fact, makes editorial planning and having an editorial calendar all the more essential. "Good content needs time to breathe, and a good writer uses time to reflect,” Kevan Lee wrote in his blog post. The Content Marketing Institute’s Marketing Director Cathy McPhillips wrote a great post "How to Build Social Media Into Your Content Marketing Processes". The post explores the how and why of using social media for distributing content as well as the workflows behind it. The story is, as the title suggests, an excellent read on process. It suggests first setting out the purpose of your blog as a content hub. Then it goes into approaches for the promotion of that content on social media. The "Advanced Guide to Content Marketing" covers a brand range of areas. This detailed explainer is a set of worksheets on how to set up spreadsheets for creating a channel plan, which includes content types, channel, objective, structure, frequency, tone, desired action, URL; a core message and criteria; business objectives and conducting a competitive analysis. The core message includes defining your target audience and mission statement. There's also a section called business objectives that includes business impact, results by quarter and benchmark. The multi-step guide walks through several stages in the content marketing process. The SEO-Based Content Marketing Plan from Kapost specifically looks at how optimizing for search fits into the content workflow -- instead it being an afterthought after the content has been created. It puts forth SEO steps to use while creating the content. It recommends tools such as Google's Keyword Planner and Ubersuggest for keyword research, promotional plan ideas and questions to ask about how you're going to deliver content that cuts through the clutter. This Slideshare, Content Marketing Metrics: What’s Your Plan?, raises several considerations upfront that help guide marketers through the process of establishing benchmarks to measure effectiveness of content. Moreover, it details how content works in context with other elements to help achieve business goals. 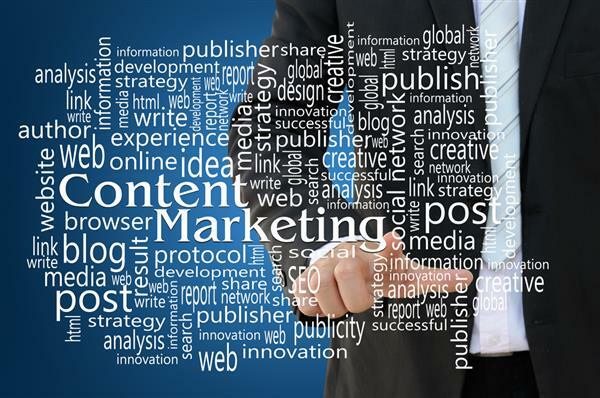 As with any advertising campaign, content marketing takes upfront planning and organization. If you break down each step in the process, create a plan for each step, test the plan to find one that actually works and then use it -- that goes a long way toward efficiency in the content marketing process. For more content marketing planning tips, follow Engage on Twitter. Contact ScribbleLive to find out how content engagement can help your company can reach its business goals.